by Lucine Kasbarian — author, syndicated journalist/political cartoonist. The Iraqi village of Havresc (originally called “Hay Vrej,” the Armenian words for “revenge through survival”) was once populated with Armenian Genocide survivors and their descendants. Circa 1970, Iraqi President Saddam Hussein’s military destroyed villages, such as Havresc, that were minority strongholds, and pushed their inhabitants into cities in order to assimilate them. Following Saddam’s death in 2006, persecuted Iraqi Armenians with family roots in Havresc decided to return to the village. With the rise of nearby ISIS forces several years later, Havresc became a safe haven. The Armenians were later joined by Assyrians and Yezidis. Against all odds, this village of 150 families blossomed thanks to the leadership of Mayor Aslan Murad Vartanian, a Havresc native. He and Armenian elders persuaded compatriots to come back and rebuild the village. Sporting a handlebar moustache reminiscent of fedayee predecessors, Murad is now father and protector to all in Havresc. Once a career special unit sniper in the Iraqi army, he today heads a citizen militia with support from neighboring Kurdish groups. Murad’s home functions as an arsenal where, astonishingly, he and others restore and convert guns from WWI and WWII – some purchased, some found while farming – into modern weapons. Heavily outnumbered, the Havresc militia has nevertheless beaten back ISIS on many occasions. We know of their acts of bravery thanks to independent filmmaker David Ritter’s documentary, HAVRESC: Stand on Courage. Following is an interview with Ritter conducted by Lucine Kasbarian. 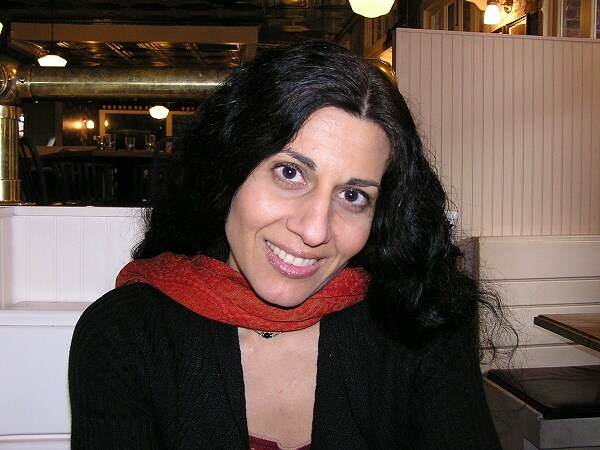 Lucine Kasbarian: Tell us about your professional and religious background. David Ritter: I’m a filmmaker/documentarian who studied photography and video production. I come from a Roman Catholic background and eventually found myself as a “Roaming Catholic,” which means I visit and respect various Christian denominations and communities. Throughout my experiences and while befriending Middle Eastern Christians, the Orthodox sects became a fascination for me. Little of Christian Orthodox history and culture is known to the greater Christian community. I gravitate towards the Orthodox and see value in their rich history throughout the world. Kasbarian: How did you find and come to be interested in the people of Havresc? Ritter: My time in Havresc was a result of my anger and frustration at what was happening to many religious and ethnic minorities over the past five years in Syria and Iraq. I resented that the “social justice crowd,” whose doctrines dominate our schools and media, had little to say about the horrors so many people there were and are facing. I was disgusted that world leaders and governments initially dismissed the attacks by ISIS and acted as if there was no threat from such groups. I wanted to support the Christian militias of Iraq and volunteer my services to them and their communities. Through my channels, I was introduced to Jeff Gardner, a photojournalist who has spent much time in the Middle East. Jeff knew about my background as a filmmaker documenting the demographics of racial and ethnic minorities. My last feature-length film, was entitled German Town: The Lost Story of Seaford Town, Jamaica. So Jeff felt that I should visit Havresc. He had visited Havresc in 2013 and was gob-smacked by how amazing these people were, especially their leader, Aslan Murad. We agreed that this village and its story deserved documentation. Kasbarian: Though the U.S. Congress unanimously approved and, as a result, the Obama Administration adopted in 2016 the term “genocide” to describe the horrors suffered by Christians and Yazidis at the hands of ISIS, would you speculate why mainstream media has made so little of the modern-day genocide of Christians in the Middle East? Ritter: To be fair, the Obama administration has spent the majority of its time stating that ISIS was not a threat, and the U.S. mainstream media followed its lead. Most mainstream media have an agenda. If I had to speculate, it is because they usually care about an issue only when the governments, corporations and special interests they cater to can benefit. I think the obsession with political correctness is also part of this conversation. For instance, much of the media on the Progressive Left want people to think that owning a gun or arming yourself is intrinsically wrong. But guns are a safeguard in situations such as Havresc’s. Armenians – as victims of state-sponsored genocide on their native lands – know very well how dangerous it can be for a civilian population to be prohibited from possessing arms. My documentary spotlights Havresc men explaining that guns saved their families and community. Obviously, the concept of gun control is highly problematic in such situations. Indeed, most mainstream media want people to see militiamen as dangerous to society. True, some militia members are threats, but others are not. It depends on the circumstances and the militia’s purpose. A gun in the hand of a responsible person can be used to defend and save endangered lives rather than harm innocent people. Kasbarian: Why do you think Middle Eastern Christians – the oldest Christians on record – have been largely abandoned by their Christian brethren around the world? Ritter: There are a few reasons. One is “political correctness” – that is, Westerners defending co-religionists elsewhere is viewed as a bit chauvinist. Many Western churches function like businesses. Defending Christians overseas does not increase their bottom line. And some of these churches and their leaders are afraid. They have seen what happens when people confront Islamic extremists: media outlets are bombed and journalists killed. Fear holds people back. But there are clergy, churches and Christians who are doing all they can to aid the Christian communities of Iraq. I met them while I was there, few as they are. In my travels, Christians have stepped forward to help the Syrian and Iraqi people. More would follow suit if they had the leadership and information to do so. Kasbarian: We hear about Middle Eastern Christians avoiding refugee camps for fear of abduction and abuse and, moreover, not approaching the U.N. High Commissioner for Refugees (UNHCR) nor applying for immigration status because they feel they will largely be passed over. In this context, one can better understand why some Christians would prefer to endure or resist in endangered zones. Please speak about this phenomenon. Ritter: The truth is these Christians would, indeed, most likely be passed over. It took nearly five years for anyone to acknowledge that Christians and Yazidis were even an endangered people in the Middle East. They were – and still are – the primary targets for ISIS and Jihadist violence. For me to explain the attitudes of Western leaders who create policies that are unmindful of Christians, I would have to adopt the mindset of a globalist. I refuse to do that. These policies may also have some basis in simple ignorance. I have met many non-governmental organization (NGO) workers and United Nations members over the years, most of whom meant well. But the isolation within which many of them exist on the ground, and their lack of understanding of the inner politics and cultures of the countries in which they work, is stunning. Poor management may also play a role. There could also be more pernicious reasons. For example, many EU leaders such as German Chancellor Angela Merkel, as well as the Obama administration, seem fixated on supporting more Islamic migration into Europe and the U.S. – but not Christian or Yazidi refugees. Kasbarian: An aid worker predicts that Havresc will grow. Do you agree? Could publicizing Havresc attract greater threats? One viewer at a screening said that beating back ISIS is a short-term solution and that in the long run, the villagers should move to Armenia. Expediency may encourage one to flee. But attachments may dictate otherwise. Is it crucial to relocate to foreign lands – or to Armenia, for that matter – when the people already there are unemployed and conditions are uncertain? Ritter: I’m not certain about Havresc’s future, but so far much has been done in a short period of time. Havresc actually faced more attacks when the village was getting no media coverage at all, so neither Murad nor I think media exposure will hurt. Being in the open can be a better tactic than having nobody know about you. ISIS is just one of many threats and risks to villages such as Havresc. But even running away may not work. Would you necessarily be safer in North America? Germany? France? England? Have we not seen massive attacks in those places on an almost weekly basis? Kasbarian: You have been present at your U.S. film screenings from coast to coast. What’s next? And why do you think the general topic of your film is of interest primarily to Assyrian and Armenian circles but ignored by the mainstream media? This is what their media has led them to believe, I suppose. Then again, I have met people across the political spectrum – from the Left to the Right – who agree that ISIS and Islamic extremism is a serious threat to the world. I also think most Americans agree that radical Islamic Jihadists are a real danger. However, American and European mass media is more interested in demonizing Syrian President Assad than ISIS. Mainstream media function as gatekeepers of information. If they cannot control the narrative and the people relaying the information, then they ignore or discredit the people relaying the information. There is a trend in globalist mass media to diminish the relevance of racial, ethnic, cultural and religious differences among peoples. On the other hand, other media and some progressives call Western people racist or xenophobic when they show a love for their heritage or religion. Could there be people in high places who enjoy seeing certain cultures and religions wiped out? I have met such people. The Havresc documentary, however, shows men and women holding strong to their Christian faith and ethnic identities. They are proud of their Armenian and Assyrian ancestries and all that comes with it. Kasbarian: Speaking of mainstream media in the U.S. and Europe depicting national or ethnic pride as xenophobia, how can Westerners deal with this? Ritter: It is important not to conflate patriotic ideals and non-extremist forms of nationalism with supremacist ideas. You can love Armenian, Greek or German culture and desire to protect your culture and nation without possessing a desire to harm others. Our media and educational institutions throw around words such as “racist” and “xenophobic” too loosely. People must ask themselves whether such strong terms are always appropriate, or whether they instead induce a Pavlovian response that stigmatizes the targets of these terms. Words are being used as if they are “Newspeak” – the controlled language created by the totalitarian state in George Orwell’s dystopian novel, 1984. Governments, advocacy groups, media and people alike should define their grievances and positions rather than stigmatize the views of others with loaded terms. Kasbarian: As an independent filmmaker, what’s your take on mainstream media attempting to silence truth tellers and freedom of expression by disparaging independent and alternative news media by calling their reportage fake? Ritter: The term “fake news” is being used by many to attack independent reporting whose facts and opinions conflict with mainstream narratives and with people and institutions in high political positions. Note that politicians who voted for wars and conflicts like the invasion of Iraq – and used false information to sway the public into agreement – peddled fake news. For example, the public was told about Iraqi “weapons of mass destruction.” These weapons were never found. The public was told ISIS was not a threat by these same politicians and their media outlets. That itself was fake news. There is such a thing as fake news. It circulates throughout the Internet, sometimes created by paranoid people on grass roots levels. But far more fake news comes from mainstream media outlets that are government and corporate-sponsored. Let us not conflate fake news with dissent and genuine questioning. Hillary Clinton claimed she was once under “sniper fire” in Bosnia. That turned out to be fake news. Why are citizen journalists the ones being attacked for fake news when politicians, government outlets and mass media have been caught throughout the years fabricating news or simply not reporting the facts? Kasbarian: Aslan Mourad says, “We Armenians live like the lion and if necessary, we will die like the lion.” His words speak to the moral courage and dignity of the Armenians. Can the story of Havresc empower others? Ritter: I hope this documentary inspires all minorities and majority nations and groups to take a stance to protect themselves, their culture and religion from people who wish to harm them and destroy the things they love. I think people should have militias and guns even if they are not endangered – just as we have fire extinguishers in our homes. We do not buy a fire extinguisher after our home has turned to ash. We buy it before that happens so we can stop a fire before it destroys everything. Kasbarian: Imagery of Kurdish leader, Massoud Barzani, is prevalent in Aslan Murad's home in northern Iraq, which is in the Kurdish region. Is having such imagery a matter of basic survival for Murad and Havresc? Ritter: I cannot comment on Murad’s political connections, but he is working with many Kurdish people – a reality of living and working in Iraqi Kurdistan – where all operate under Kurdish authority and work together for a bright future. In order to have a functioning security force, Havresc has to go through proper political channels. That’s the law and reality now. No Christian community in Kurdistan can operate as an island unto itself. Kasbarian: How can we support Havresc? Ritter: Anything sent to www.Echo612.org goes straight to Havresc. I am funding this film screening tour from my own pocket and from the money we collect at events from DVD and admission sales and the donations from institutions that host the events. I give 30 percent of what we make at each event to Echo612 to help Havresc. The donations will purchase food, medicine and basic aid for residents until things are secure and stable. It is not a long-term program. The people of Havresc do not want to be on a welfare system. They want to be independent and self-sustaining.